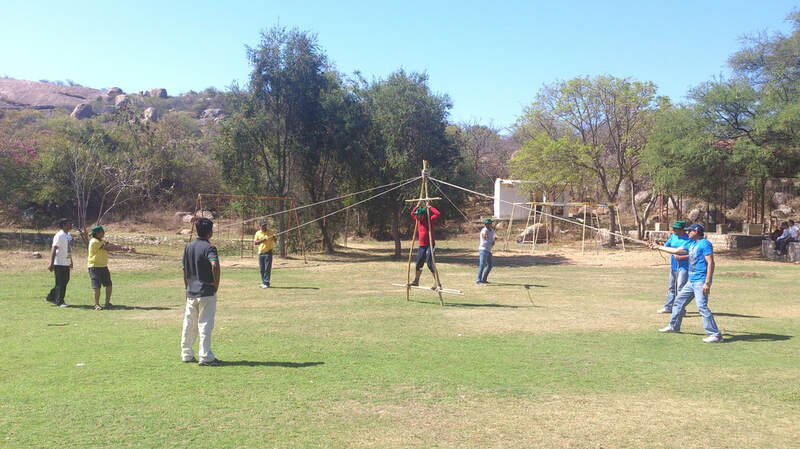 Outbound Training or Outbound Learning is a training intervention method for enhancing individual, team and organizational performance through facilitation of adventure, outdoor and experiential learning activities. 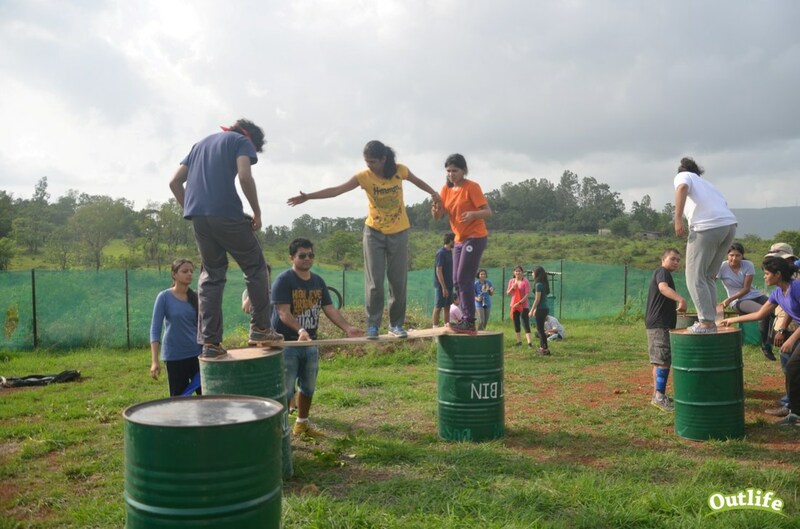 ​The participants are engaged into outbound training actvities that include outdoor, adventure and group development activities to create a immersive learning experience and to bring out the desired learning outcomes and behaviors. ​Achievement, performance and behaviors during outbound training games are reviewed through a process of discussion called debriefing, to identify behaviors that enhance performance or lead to failure or decreased performance. Outbound Training involves an informal environment, surrounded by nature and tranquility, people become more natural and reflective, paving the way for a complete and effective learning process. 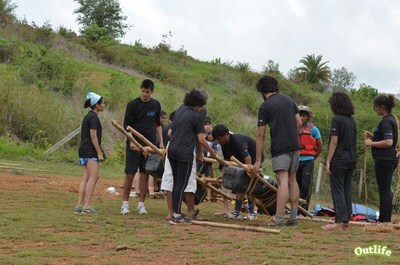 Achievement, performance and behaviors during outbound training games are reviewed through a process of discussion called debriefing, to identify behaviors that enhance performance or lead to failure or decreased performance. ​Strategies are formulated to deal with factors that hinder performance and these strategies are then put to use in the outbound activities that follow, to test their effectiveness and ultimately help the participants learn to change behaviors back at work. The Outbound intervention involves a variety of tools that are based on expereintial education, Facilitation, Group processes, Gestalt Therapy, NLP, Coaching, Psychometric Instruments, Simulations, Sensitivity Training, Role Plays, Case Studies, Team Building Activities, Management Games, Management Concepts and Frameworks. 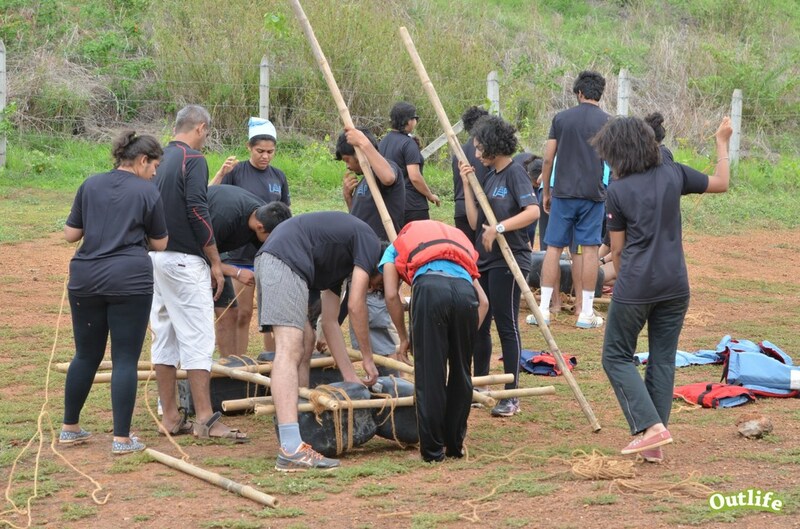 Outbound Training is versatile methodology based on experiential learning that can be utilised for all types of interventions relating to human and group processes at all Levels..
​The OBT Training primarily focuses on 3 broad areas of Individual, Team and Organisational development. Clear and Structured Thinking :- having clarity of thought, approach towards objectives, is structured, ability to make decisions. Leadership Stature and Maturity :- ability to motivate self, enable, succeed, utilize appropriate leadership styles, having clear vision of what is required and is optimistic. Interdependence and Cohesion: Developing High Interdependence and Cohesion in the team to achieve results. Cross Functional Collaboration: Enhancing cross functional collaboration to achieve a common goal. ​Communicating Effectively:- Effectively communicating with empathy and appropriate to the context. Developing the Organisation focuses on evolving the business through systems approach to Human and Systems Processes and involves the following. Functional and Business Acumen:- having domain expertise, effective in strategic execution, Deploying business acumen in decision making. Managing & Enabling Change :- Leading and facilitating change on a ongoing basis based on evolving business needs. Managing Customers and Value Chain :- Building and leveraging relationships with value chain partners and customers. Operations Management :- Ensuring execution excellence, managing processes, building efficiencies. Achieving Results : All individual and team efforts should lead to Achieving Desired Results at Work.